Creative expression encompasses who I am and drives me to achieve. Motherhood presented me with three inspirations being Ruby, Isla and Hugo. It was through the joy of making clothes for them I developed a passion for handmade vintage style children’s clothing, thus Rubykins was developed. All products are personally handmade, with great attention to detail ensuring product quality. My products have sold all around the world and are a fanciful inclusion to a new born celebration or a unique and stylish inclusion to any child’s wardrobe. I invite you all to see for yourself the array of stunning fabrics and styles I offer suitable for children birth to ten years. With great love and pride I give you Rubykins Handmade. Have a look at all the styles available in our shop. Thanks for the gorgeous pinny for my niece, it looked adorable! So well made, you rock!! My daughter is an extremely fussy dresser and this summer she has mostly worn her Rubykins dresses. I've been extremely impressed at how many times I've washed the dresses and they still look brand new. Until she started school, she was wearing them 2-3 times each a week and the quality of sewing is clearly extremely high as well as being beautiful fabrics. Will definitely be re-ordering more clothes! I have ordered a few items for my daughter and they are amazing. The quality and workmanship is outstanding! They wear so well as well even on a very active grubby 5 year old. I highly recommend Rubykins - beautiful, well made products and wonderful friendly customer service. Thankyou so much! 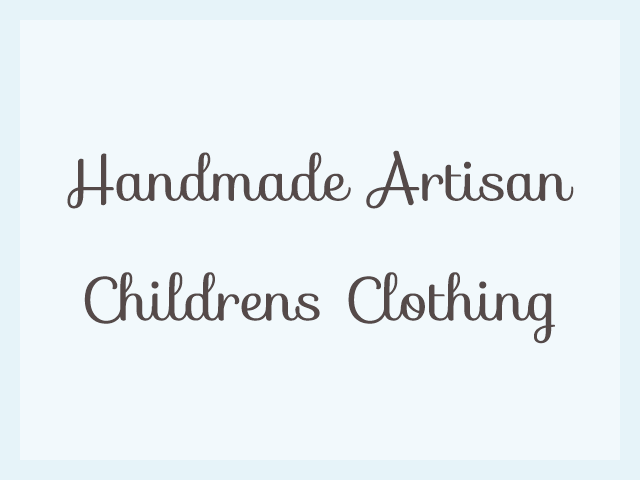 Amazing local handmade quality clothes � Can't wait to purchase more pretties.